Domenic M. Recchia Jr., District 47 Council Member. Credit: Official NYC Council Photo by William Alatriste. New York City Council Member Domenic M. Recchia Jr. represents District 47, covering Brooklyn’s Bensonhurst, Gravesend, Coney Island, and Brighton Beach neighborhoods. He is Chair of the City Council’s Finance Committee. He graduated from Brooklyn’s John Dewey High School, played football and received his undergraduate degree at Kent State University, and earned his juris doctor from Atlanta Law School. Recchia also has a Brooklyn private practice specializing in medical malpractice and personal injury. Brooklyn beginnings. Recchia represents the community he’s grown up and lived in for most of his life. He fondly remembers his childhood days spent at Steeplechase Park. To memorialize those times and perhaps to predict his bright leadership ahead, he has a picture of himself as a young boy with his father at Coney Island, his bathing suit reading “I’m the boss.” As a boy, he witnessed the somber closing of Steeplechase Park in 1964. He recalls the long economic decline of the area, when Steeplechase Park remained vacant after plans to build high-rise apartments fell through and projects like MCU Park, built in 2001, were erected without forethought to smart future development. Though he thinks the field brings enormous economic benefits to the area, the Park was placed in the middle of City-owned land, which made rezoning and planning difficult during the Coney Island Comprehensive Rezoning Plan process. (See CityLand’s past coverage here). As Council Member, Recchia has been instrumental in breathing new life into the area through his work on the Comprehensive Rezoning Plan and is forging the way back from Hurricane Sandy’s devastation to the area. Educational insight. Recchia is knowledgeable about education. He and his own children are products of the public school system. In high school, Recchia was involved in the Council for Unity, which sought to address racial violence and empower young people to achieve academic success. Recchia came back to the Council after law school and got involved in its mediation and conflict resolution program. 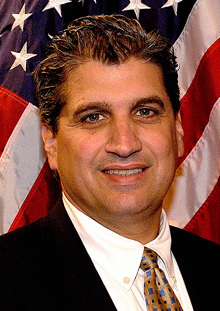 After advocating for the funding necessary to expand the program, Recchia decided to run for the local school board. He later became the youngest president elected to Community School Board District 21. As City Council Member, Recchia helped to create the Cultural After School Adventures program, which distributes funding to afterschool art programs. Recchia is also passionate about the need for more accountability to parents in today’s Department of Education system. Recchia contends that parents lost a local place to voice their concerns after school boards were eliminated under Mayor Michael R. Bloomberg’s administration. School boards represented the community’s makeup and could efficiently address parents’ issues. Teachers and school staff were also members of the community. Today, according to Recchia, school staff no longer reflect the community they serve and are only accountable to School Support Organization leaders that may be in a different borough and otherwise hard to reach. No matter what the future holds for Recchia, he will be keeping a close eye on Hurricane Sandy recovery to ensure that the revitalization envisioned in the Comprehensive Rezoning Plan comes to fruition. Though recovery will be an arduous process, Recchia has been seeing homes, local businesses, and Steeplechase Plaza slowly coming to back to life this winter. He wants to see more economic development in the community, with local residents given priority in the hiring process. He also hopes to see Ocean Dreams, a retail and residential development, built as promised on the Coney Island boardwalk. Having such a personal and professional closeness to the community he serves, Recchia will be an influence on South Brooklyn for years to come.